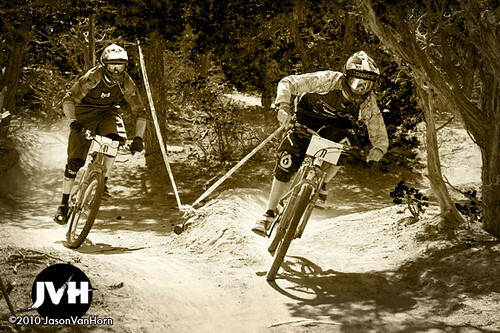 I’ve almost forgotten how much fun dual slalom is. 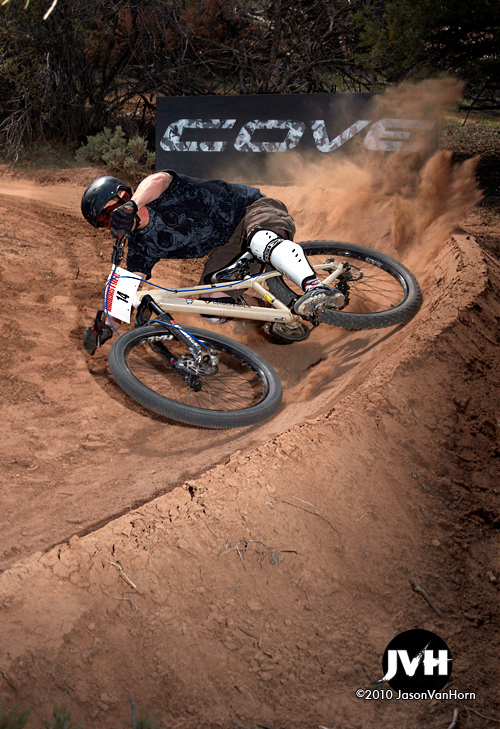 The guys at the Ranch haven’t though- their homegrown course in their private bike park wonderland proves that. It isn’t your average dual track with some flags and hay bales either. 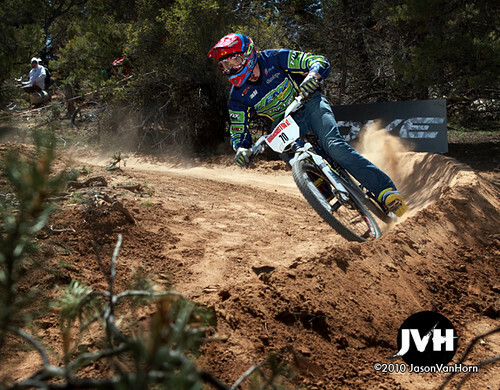 Instead, the course is much more like classic mountain biking, but with tons of jumps, rollers, and berms. 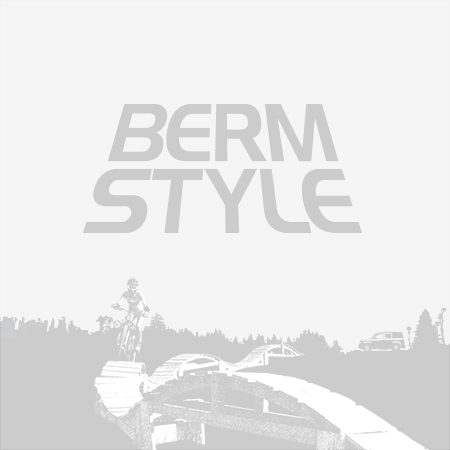 Lots and lots of berms. 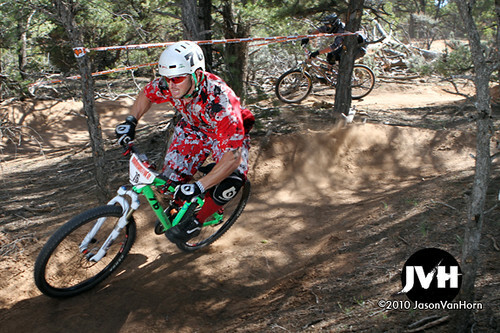 The setting is the Ranch, a private bike park owned by the proprietors of Grassroots Cycles in Grand Junction, Co. 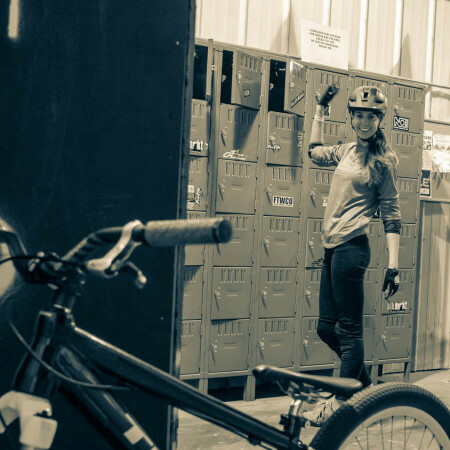 In addition to running a popular bike shop, they are trails builders, known for creating some of the most fun and challenging black and double black diamond trails at the Lunch Loops. To top it off, they have done what many mountain bikers only dream of doing: they’ve bought their own land and created their own private riding spot, miles from some of the best public trails in the southwest. 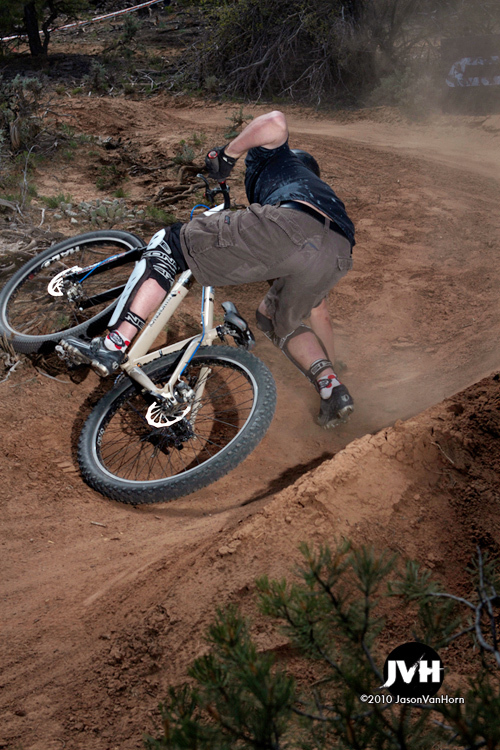 The bike park features a number of freeride trails, jumps, and a slope style course, as well as a full dual slalom track. During the clinics the previous day, participants in the clinics studied the lines and practiced their new moves. This morning during the practice session, they put them to use. Dual racing is apparently still big in Colorado, and the full parking lot was a good indication of that, as riders lined up at the gate at the top to head down the course two by two. They were still working on getting the registration booth set up, so I took advantage of the lack of number plates to poach a few runs in myself. The beginning of the course was fast and tight, and reminded me a bit of the popular Whistler Bike Park trail “Ninja Cougar” in the top wooded section. 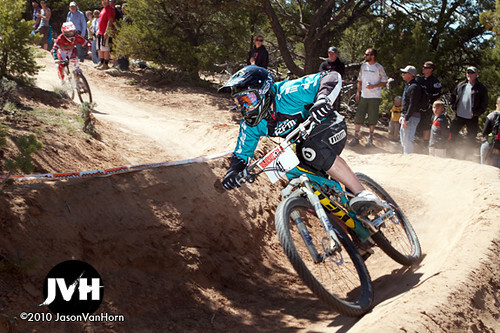 The flow of the run changed up as the two courses converged, opening up in a high speed jump line section more often found in Four cross or BMX racing. Design-wise, it was a great implementation of two very different styles of race courses for an experience that was simply a blast to ride. After the “4x” section, the course split back into two lanes while the speeds stayed up. 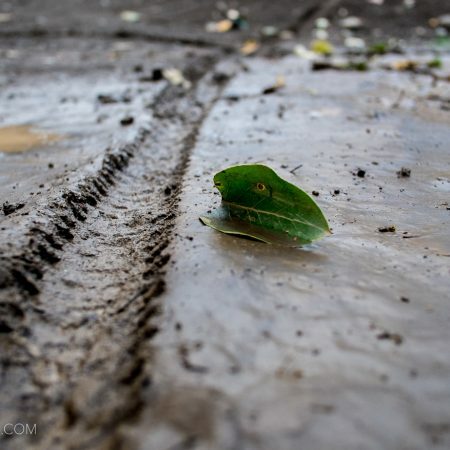 The high speeds combined with the loose soil made for a low margin of error, and not setting up for the correct entrance line into the berms resulted in disaster. 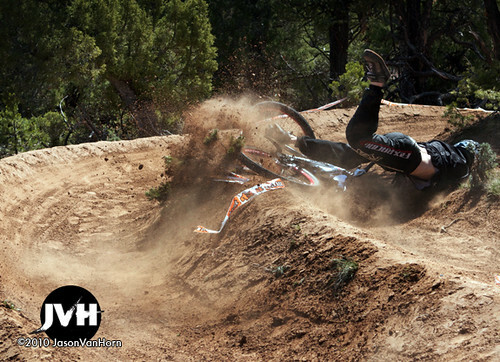 More than a few riders found themselves off-line only to drift out of control, sometimes with explosive results. As expected, one of the runs was slightly longer than the other, but that is racing. If you were stuck with longer course, it meant you had to step it up. In the end, Petr Hanak of Winter Park took the win over Jess Peterson, with Deider Barrick in third. 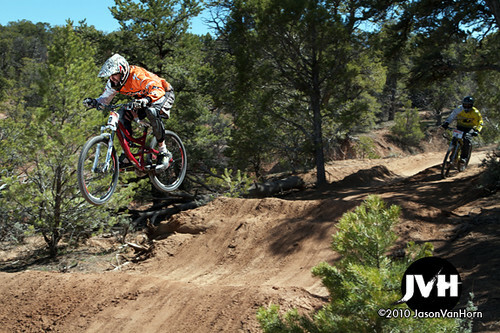 Steven Davies of Grand Junction, holds on..